Venous thromboembolism (VTE) following rectal surgery is a significant and preventable cause of morbidity and mortality, yet the true prevalence is not well established. 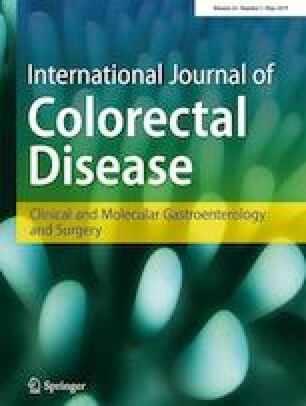 This systematic review and meta-analysis assessed the available literature and determined its prevalence following rectal surgery. A systematic review assessed the prevalence of VTE following rectal surgery. In addition, we evaluated whether subgroups (open vs. minimally invasive or benign vs. malignant resections) impacted on its prevalence or rate of deep venous thrombosis (DVT) or pulmonary embolism (PE). Thirty-eight studies met the predefined inclusion criteria. The aggregate prevalence of VTE following rectal surgery was 1.25% (95% CI 0.86–1.63), with DVT and PE occurring in 0.68% (95% CI 0.48–0.89) and 0.57% (95% CI 0.47–0.68) of patients. VTE following cancer and benign resection was 1.59% (95% CI 0.60–1.23 and 1.5% (95% CI 0.89–2.12) respectively. The prevalence of VTE in patients having minimally invasive resection was lower than those having open surgery [0.58% (16/2770) vs. 2.22% (250/11278); RR 0.54, 95% CI 0.33–0.86]. This review observed that there is sparse evidence on prevalence of VTE following rectal surgery. It provides aggregated data and analysis of available literature, showing overall prevalence is low, especially in those having minimally invasive procedures.